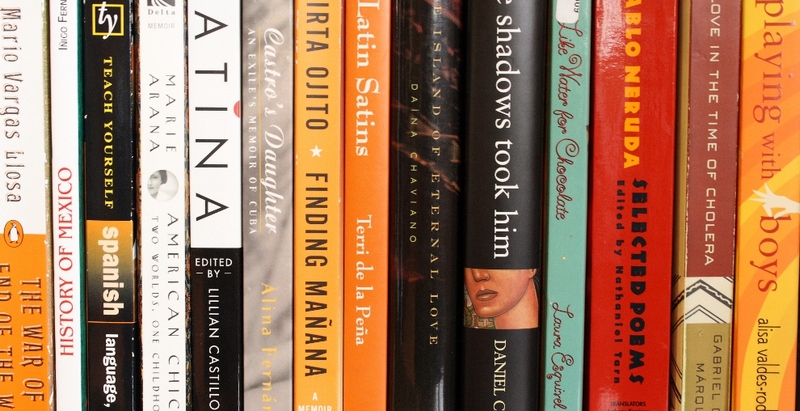 Leal Award Winner Announced :: via University of California – Demetria Martínez has been awarded the 2011 Luis Leal Award for Distinction in Chicano/Latino Literature. What is Latino? :: Maria Browning discusses the soon to be published The Other Latin@: Writing Against a Singular Identity. Also, a search for “Latino” on Amazon results in like, over 1,000 hits! And, it includes mainstream books! OMG There are like so many books about them LOLZ. Sigh. I think that the news flash for this book isn’t that it is supposed to point out that Latinos are a diverse group, or to further Other-ize us, but that the essays explore identity formation in the Latino community, a fraught topic I know I have struggled with. P.S., there’s a tiny excerpt on the University of Arizona Press website linked above. Another Award Winner :: via The University Star – Alex Sanchez accepted the 2011 Tomás Rivera Book Award for his book, Bait. Weekend Sonrisa – So here’s your weekend funny. The other day at a meeting with the group I volunteer with, we were actually able to crack jokes while discussing how the immigration law is affecting students. Because if you don’t laugh, you’ll cry. Full disclosure: the Colbert Report always cracks me up, anyway! This week there was a lot of news in nuestra literatura! Enjoy, and have a great weekend! A “weird” place to write :: via Poets & Writers – Oscar Casares breaks down the literary scene and festival in Austin, Texas. 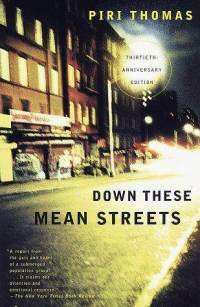 Spanish Harlem author dies :: via the New York Times – Piri Thomas is a new discovery for me. I searched my library’s catalog for Down These Mean Streets, but they don’t have it. Added it to my Amazon wishlist! Latino theater in Dallas :: via Dallas South News - Eliberto Gonzalez discusses his experiences with racism growing up and his theater company. Latino children’s literature:: via scrippsnews – Monica Brown, a Pura Belpre Award winner, discusses her books for children. Quinceañeras! :: via NPR – Malin Alegria discusses role models, spanglish, and the lack of literature for Hispanic teens. Nuestra Palabra Texas-wide book tour :: via The Venture – Can I use this as an excuse to go home? Review of Moraga’s A Xicana Codex of Changing Consciousness: Writings, 2000 – 2010 :: via The Feminist Texican – I just discovered this blog and am excited to read more! I’ve read essays by Moraga but haven’t read a full book. I’ll add it to my long list of must-reads. Tomorrow is National Latino Aids Awareness Day in Michigan :: via Boyne City Gazette – Never heard of this one, but hey, it’s a great issue to address! I think this is a Michigan-only thing. Watch Lost in Detention on Oct. 18 :: via Presente.org – Watch the organization’s interview with Maria Hinojosa on her documentary on the Secure Communities immigration detention program.